Mura has the ability to create different display regions for users to add content from within the site manager. For example, if a user wanted to add a sub navigation to a folder, they would select the Sub Navigation object and add that to the "Left" Display Region on the page. By default, Mura has three display regions configured for the Left Sidebar, Main Content, and Right Sidebar. Primary Display Region: This is where you would consider the "Primary" area of your site. This is where dynamic displays such as login forms and search results would be rendered. You will typically want to set your primary display region wherever you plan on having the document body in your templates. Display Region Names ( "^" Delimiter ): These are the user friendly names for the display regions. 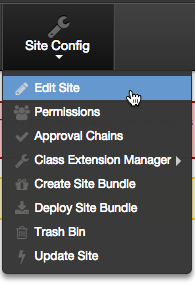 These will be shown to users when they edit content in the site manager. They need to be in order of the number you wish to assign to them. 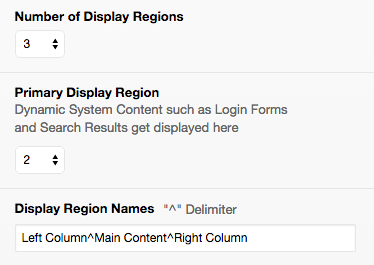 For example, if you want the Left Column to be display region ID #1, it should be listed first in the list. 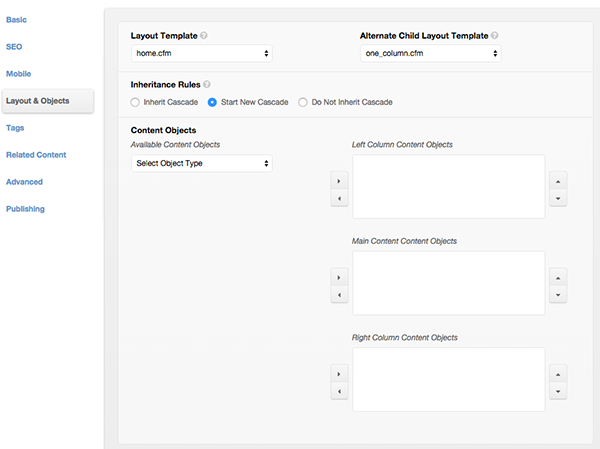 The display regions you create will now appear on the Layout & Objects tab when you edit content in the Site Manager. 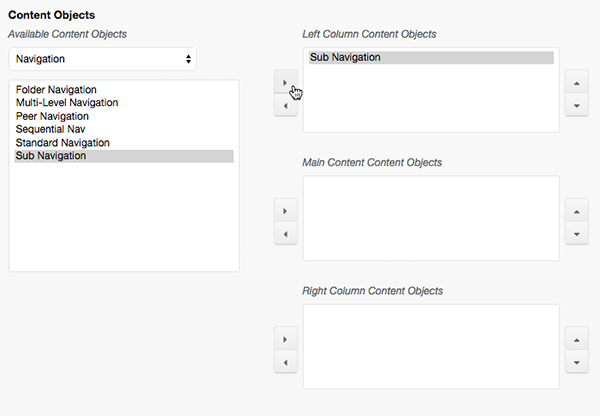 Select Sub Navigation and use the right arrow to add it to the Left Column Content Objects display region. This will tell Mura that any time a user places an object to the "Left" display region, it will render within this markup.